MITO table tennis bag - Yasaka Table Tennis Champion manufacturer. MITO table tennis bag - Yasaka Table Tennis Champion manufacturer. 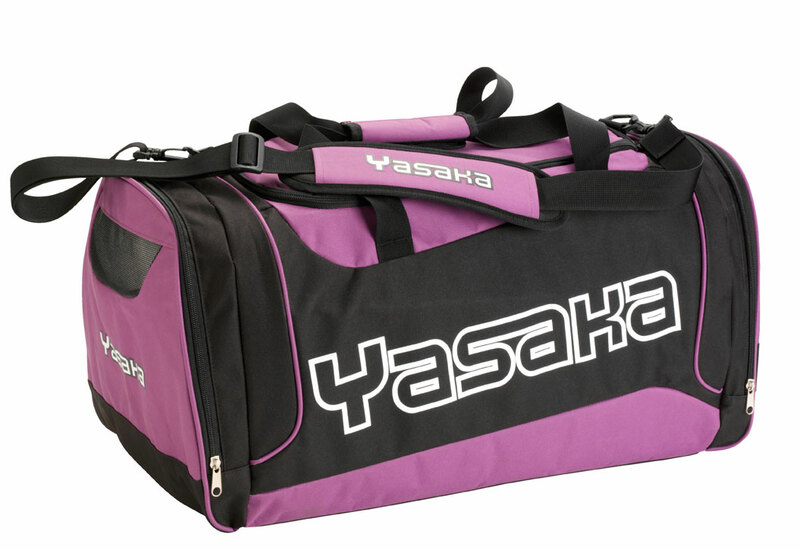 YASAKA table tennis bag MITO is a medium size bag with a central main compartment, one side compartment plus one ventilated side compartment for shoes. Two additional zipped inner pockets for safe storage of wallet, keys and mobile phone. A detachable padded shoulder strap is included for ease of carrying. Black/purple with the Yasaka logo in white. Size: 61 cm x 34 cm x 28 cm.